The Hampton Court Marathon is a great event, one of the best I have competed in, the course is pretty flat, pleasant surroundings and well organised. I only entered last week so had to pick my pack up on day. There was a park & ride bus option for £10, which I thought was pretty expensive. I got there an hour before there was a lot of free street parking it was only a 5 minute walk to race village. The start was a very early 8:30, unlike the last few weeks the weather was very good, sunny, and cold with little wind. The start is at Thames Ditton (I guess Hampton Court is a more appealing event). 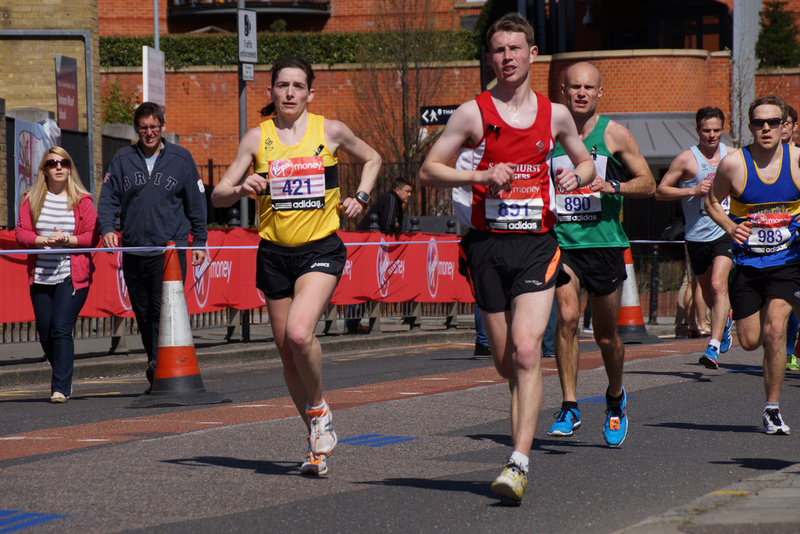 The race is a combination of road for the first mile then roads, paths and towpaths along the Thames. The course takes you along the A307 towards Kingston then along the river Thames the towpaths were good for running on, they were pretty wide and easy for overtaking. In Kingston you go around the town centre and then re-join the Thames path on the other side going past Hampton Court including Henry VIII before going back on the road going over the bridge and then finishing the last 3 miles heading back towards Thames Ditton for the last 100m dash on the green. The course was great pretty flat, the marshalling was excellent as there were a number of roads that cars had to wait for runners and there were no issues in losing directions. My target was to break 1:28, my first 4 miles were pretty fast sub 26 minutes, my next 4 were pretty steady I got to 9 miles before the hour then held on the for the run back, which felt quite tough, I was hoping for a downhill finish but not to be. My Finishing time was 1:27:24 my second best run. The finishers pack was pretty good with the running shirt was really cool orange another colour to add to the collection.